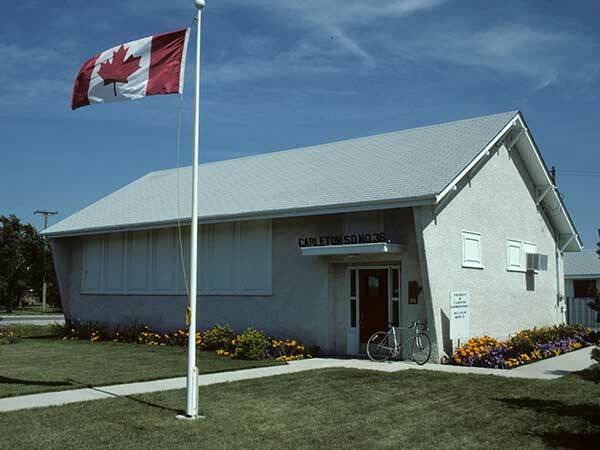 The Carleton School District was formally established in March 1876 although a school board was not elected until 1883. 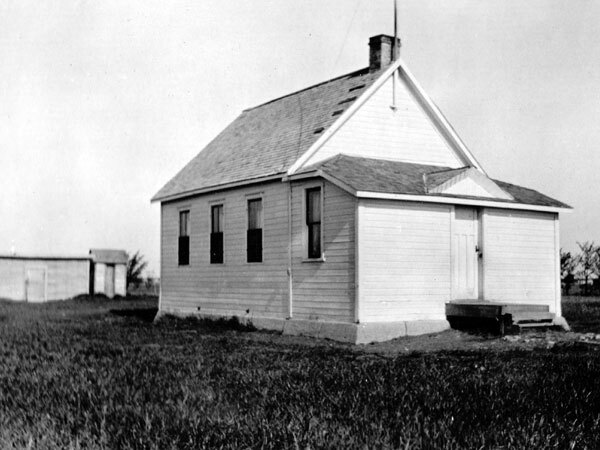 The original site for Carleton School was on the south half of 24-5-1E in the Rural Municipality of Morris. It was later moved east to near the Red River. In 1912, it was moved again, to NE14-5-1E where it remained until closure in 1968. A new building was erected in 1951, opened at a ceremony on 16 November 1951 attended by the Minister of Education. After the school closed, students from this area were bused to Morris School. 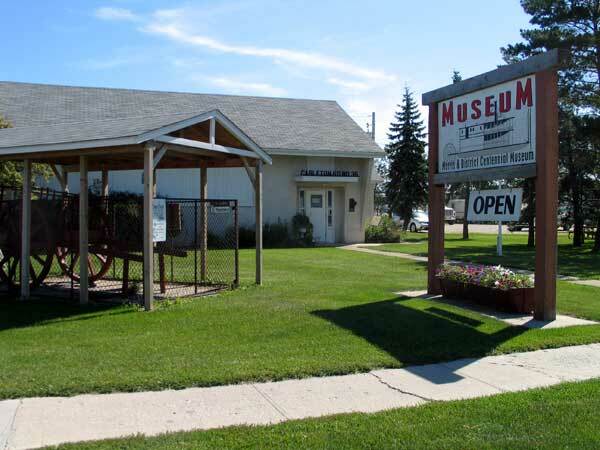 The building was moved to Morris where it was used for a time as a supplementary classroom and later as the Morris and District Centennial Museum. The school stable where students kept their horses during the day, built in 1949, was moved to the nearby Snarr farm where, as of 2012, it still stands. Among the teachers who worked at Carleton School were Richard C. T. Collins (1897), Mr. Harrison, Miss Johnson, Miss Blake, Miss Vera Palmer, Olive Kastner, Miss Evelyn Churchill, Miss Leslie Hopkins, Mrs. James Stanley, Mrs. J. Johnson, Mrs. Charles Stevenson, Mrs. William Dickson, Miss Margaret Irvine, Miss Doris Fitzpatrick, Miss Grace Stevenson, and Mrs. Bruce MacKenzie. GR8461, A0233, C131-1, page 13. Source: Historic Resources Branch, Public School Buildings Inventory, slide 732. Aerial photograph A11638-4 , Manitoba Air Photo Library. We thank the Rural Municipality of Morris and Mariette Allen for providing additional information used here.